Over the last five years, shipping logs from the Northwest to China has grown into a 4 billion dollar business. Ports along the Oregon and Washington coast are looking to reopen log yards that shut down years ago and provide the raw material to feed China’s construction boom. But some residents in Newport Oregon say a proposal to export logs there isn’t good for the community, and will hurt Northwest mills. At the Teevin Brothers log yard in Rainier, Oregon, the air smells like sap and bark dust. Workers are preparing logs for towering ships that are docked across the Columbia River. Scalers inspect each log and staple it with a barcode. That’s Eric Oien, a manager at Teevin Brothers. Nearby, a machine chips bark of the logs to ensure that Northwest insects won’t hitch a ride in a ship’s hull. There are about a half a million logs here, most destined for China. Oien says his company has benefited from China’s construction boom. Hakan Ekstrom is a timber industry analyst. He says up until a few years ago, the Northwest was mostly selling logs to Japan and South Korea. Now China has taken over as the top customer. Ekstrom says Chinese buyers tend to prefer logs to milled lumber. Because builders there don’t use 2 by 4 studs or any standard dimension of lumber. Ekstrom says many smaller ports on the Oregon and Washington coast are trying find land and strike deals to get back into the log exporting business. Ports like Newport, on Oregon’s central coast. 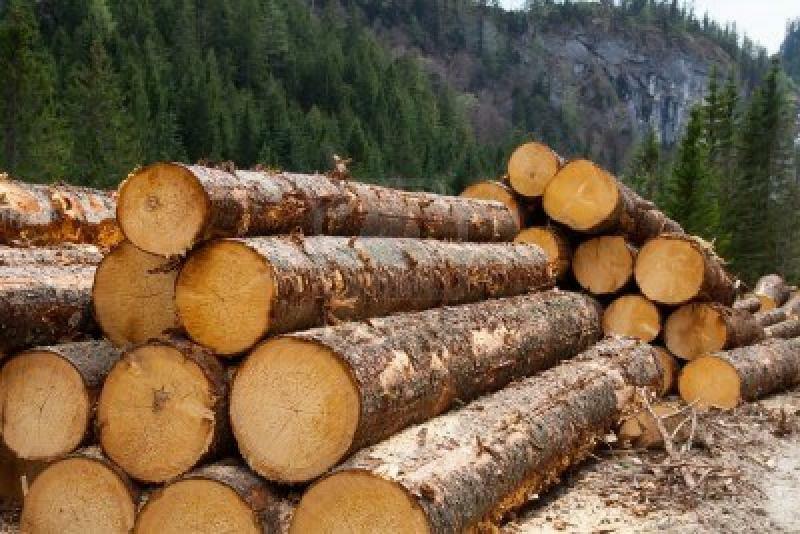 Teevin brothers has proposed building a new log export facility there. The logs would come from forests in the coast range owned by Hancock Timber Resource group.The project has divided the town. It would send at least 50 log trucks a day on a round-trip journey through what is now a quiet residential neighborhood. Ken Brant thinks log exports will disrupt his neighborhood. That’s Ken Brant, a retired teacher. 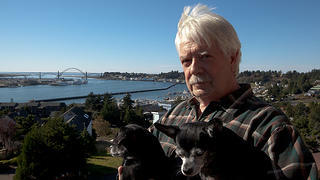 Brant lives with a pair of black Chiuhauas in a house that overlooks the bay. He bought it 13 years ago, after the international terminal had shut down. Brant thinks the log export proposal will undermine Newport’s efforts to build an economy around tourism, marine science, and art. That’s JoAnn Barton, a Port Commissioner. Barton says the log yard would employ about 40 people -- and generate revenue to repair docks like the one we’re standing on. It’s heaped with sea lions today. But it normally provides berths for the town’s tourist’s yachts and commercial fishing boats. The log export proposal also has the support of the local longshoreman’s union. There are just 10 longshoremen left in Newport. Yale Forgarty is the President of his union’s local. He says he has to go to other ports to find work. Templeton: “And what was it? But many people in Newport don’t see log exports as a job creator. Dozens of mills have shut down in this county in the recent past. 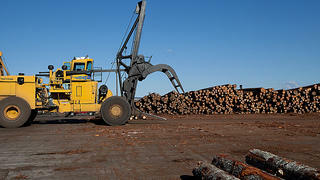 Ken Brant says its galling to see logs going overseas instead of being milled locally. That concern is borne out by research. Exports can drive up the price of logs, making it harder for local mills to buy them. And the chief economist with Oregon’s Department of Forestry found that mills create about 3 jobs for every million board feet of logs they cut. Exporting that same amount of logs creates less than 1 port job by comparison. Even some supporters of the log yard in Newport think log exports are a poor economic development strategy for the Northwest. Here’s JoAnn Barton, the Port Commissioner met from earlier. But, she says, if logs from the Northwest are going to be exported to China, she’d rather see that benefit her port. Timber industry analyst Hakan Ekstrom says people shouldn’t focus too much on the logs being shipped away. Ekstrom says upper class Chinese and foreigners in China are increasingly interested in living in western-style single family homes. And that could create lots of new export business for sawmills in the Northwest. More info and a slideshow available at the Earthfix website. Debate over the definitions of prescribed uses of the O&C forestlands has been going on since the late 1980s. Despite years of discussion, agreement about how much relative weight should be given each use remains unsettled. 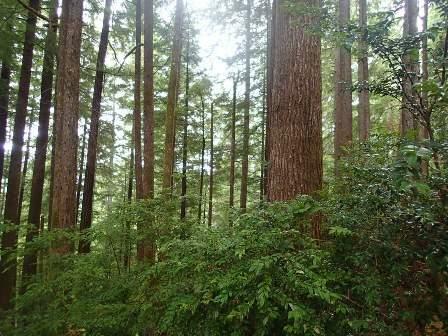 The debate has recently flared anew as revenues from O&C timber harvests shrink and Congressional programs to replace those revenues have proved unreliable, insufficient, and likely soon-to-be nonexistent. Residents of Newport fighting the reopening of a log export terminal received a reprieve late last week. The state land use board has upheld an objection by a local condo association. Residents at The Landing at Newport condominiums are opposing the reopening of the log export terminal by the Teevin Brothers company – citing noise and log truck traffic concerns. They appealed the company’s traffic impact analysis to the state land use board. LUBA upheld one of the appeals and sent the study back to the city for revision.